Picture a doctor’s waiting room: cushioned chairs, a display of colorful magazines, soothing music wafting above your head, perhaps an aquarium of sparkling fish. Why does the doctor provide such a calming environment? Because he or she knows that by and large, people do not like to wait there. Truth is, we don’t much like to wait anywhere for any length of time. And we often cringe at the mere idea of waiting on God – more than any other kind of waiting. He is so frequently not in a hurry. We don’t want to learn patience by waiting, though it is often the best way to learn it. But consider for a moment the flipside. Consider for a moment those times when the waiting room door has been thrown open but we’re still sitting in the chair by the fish, afraid to get up, get out and get moving. Sometimes we find ourselves in situations where we sense God nudging us to step out, but instead we’re oddly content to just wait it out – perhaps hoping someone else will make the move we’re supposed to make. Just as there are times when God wants us to wait on Him; there are times when He calls us to action. And just as we need to listen for His voice in times of waiting, we need to obey His prompting when the wait is over. When God told Moses to send spies into the land of Canaan, only two of the twelve came back from the mission ready to do what God was prompting them to do. The others wanted to head back to the waiting room, grab a magazine and hang out with the fish! They were afraid to move forward in faith, even though they had seen God time and again prepare a way for them in the wilderness and then lead them through it. God asked that these people take a step of faith and trust Him for what lay past the waiting room door. He didn’t kick them out of the waiting room. He asked them to leave it, and they chose not to. History shows us what they missed (Numbers 13:26-14:25). Are there perhaps blessings you have asked for but then have refused to pursue? Have you been hanging back in the waiting room – perhaps because you’ve allowed fear to convince you it’s better to be safe and ineffective than risk being used by God? The waiting room has its purpose. It is the place where you get mentally ready for what comes next. You are not meant to live there. You were designed for the world outside. And it waits for you! Susan Meissner is a multi-published author, speaker and writing workshop leader with a background in community journalism. Her novels include Lady in Waiting, a story that combines a contemporary tale with a glimpse into the life of Lady Jane Gray, the nine-day queen of England. She is a pastor’s wife and a mother of four young adults. 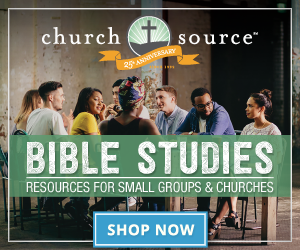 When she’s not writing, Susan directs the Small Groups and Connection Ministries program at her San Diego church. Visit Susan at her website: http://www.susanmeissner.com/. 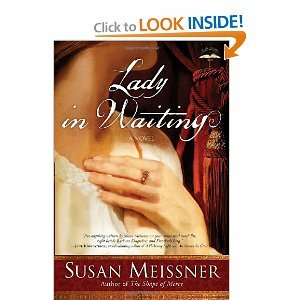 Today, I’m giving away a copy of Susan’s book “Lady in Waiting”. I enjoyed it so much, I read it in two days! It was one of those books I just didn’t want to end; it was just too good. I will be choosing a winner from our comments today. Just share a time when you had to wait and struggled to do so! It doesn’t have to necessarily be a time when you enjoyed it (I mean, who does!) or even when you had victory, just a time of growth. I’m looking forward to hearing your story….just click on comments below! The winner from Friday’s book “The Friendship Factor: Why Women Need Other Women” by Brenda Poinsett is Jill. Congrats Jill at cjralph@hotmail.com. Congrats Jill! « Friend, Relieve the Pressure! I love her books! We had a period of waiting that was a killer when we were adopting our son from Guatemala. I've written several blog posts about it you can read…but the essence is that there was a time (after visiting him)that we thought the adoption would fall through. My mother-in-law also passed away the week before we traveled. But God knew His timing…so hard though. I spent appx 20 years in what eventually turned into an abusive marriage. I waited and cried and waited & pleaded with God to get me & my 3 kids out of that situation. But, He was waiting on me to decide I had enough and follow Him. Now I am learning to wait again, this time for God's choice of a man for me. I am currently in a time of waiting. My husband and I have been trying to have a child for about 3 years now. I know God has called us to bear our own children and to wait on Him for them, but this waiting for something I know will be ours is very difficult. Especially when seeing all my friends having children left and right… but wait we must… for how long? Only God knows. 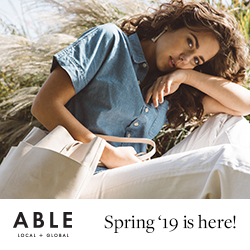 Oh, and my email is ambre.ford@gmail.com. Waiting on school decision. Our children had been in a private school for many years. Each year we went on scholarship. Each year our answer was last minute. It wasn't until the 5th year that I finally conceded to wait and not worry. I am in a waiting period right now. My husband and I have been trying to have a baby for almost three years. We have complete faith that it will happen in God's time. Even though we have that faith, it is still difficult to wait. Especially when you see others around you get pregnant so easily. I am still in a waiting process. I know that God has laid it on my heart to go into the mission field. I would love to pack up and go today, but I heard a missionary once say, "God equips the called, to call the equipped." That was such a profound statement to me. I am in the equipping process. 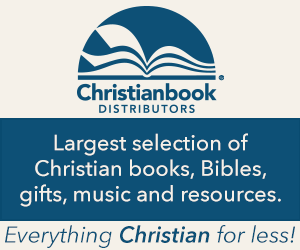 Taking classes in intercultural studies and Bible. So that when I'm in the field I will be prepared. I am thankful He is holding me in a waiting season. It's teaching me more than ever to be still & really listen to Him!! Thank you for todays entry! I'm on the verge of leaving the waiting room and needed some encouragements. In 2007I was driving home from a church event only to get pulled over and sent to jail because my license was suspended. Long story short my family came to get me and I went home. Had to go to court and the judge said I was looking at a 5day jail sentence and a $1500 dollar fine. I wanted to plea guilty so I could pay the fine and get it over with but the holy spirit told me to plea nocontest, so I did. That set my court appeal for a month later. During that waiting period I strugglled with fear and doubt but the night before my court appeal I was watching a christian broadcast and they quoted Romans 8:28 "all things work together for the good of those who are called according to his purpose and design." That scripture got in my spirit and I believed it. So when I went to court the following morning I walked to the clerk, told her my name, and she said "Oh, Jasmine? Your case was dismissed." I praised God in total awe and shock. I have a God-given talent that was revealed to me as my life's purpose. I accepted it and pursued it with all my might and was excited and ambitious. Then everything came to a screeching halt. Everything that I had worked so hard for and prepared for came to nothing. I was devastated at the time. That was about 6 years ago, and since then I've started moving forward again, but very, very slowly. I don't understand why God chose this timing, but I try to accept it and even rejoice, because I know it's for His glory. Actually I am in the midst of a "waiting time." The seasons of my life have just changed recently and I am looking to the LORD to direct my path into "the next chapter" of what He desires of my life. Wow, I've been in the waiting room for a long-time now and I've become quite comfortable, too comfortable in fact! I've felt God's nudges a couple of times but I've dismissed them as "me". 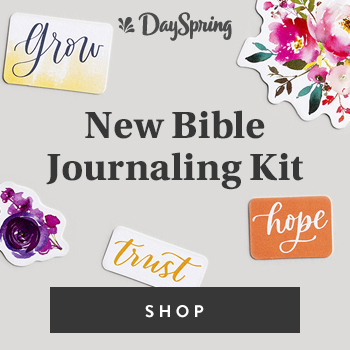 This morning I prayed for guidance then this blog caught my eye. It's time to step up and step out! Time to do the work and trust Him for His provisions. Thank you for sharing His words of wisdom in just the right way. Here's the lyrics to a Sara Groves song that perfectly express my own feelings about moving forward, getting out of the "waiting room" – which is what i know i must do, 3 yrs after a life altering accident suffered by my husband. "I've been painting pictures of Egypt, leaving out what it lacks…the future feels so hard, and I wanna go back. But the places that used to fit me, can't hold the things I've learned…Those roads were closed off to me – while my back was turned." Your stories of waiting have moved me. I think of all the things God asks us to do in faith, waiting is the hardest! Because we, especially us gals, want to DO something. But yield our calendars to God is a huge deal. I am sure that is why He doesn't rush the process. Praying for each one of you today! Lynn, as I've sat pondering your question, I wonder if I'm ever NOT in the waiting room. It seems like before my name gets called, another reason to wait arises. The sad thing is, the waiting room has almost become "home" and I've started "decorating it", preparing for the wait, and getting comfortable and settled there. That CAN be a good thing, but at other times, God has said, you've been waiting there long enough on this one…it's time to move on…but I can't. The wait has almost become my identity. I guess sometimes the question arises…am I waiting because God has said 'wait'…or am I waiting because of intentional choices I have made? I am waiting on some medical results. I am waiting for a prodigal to return home. I am waiting on my parents health concerns. I am waiting for direction concerning a possible trip. BUT…I am also waiting on some steps of obedience because of fear…I'm waiting to change because of enjoying some momentary pleasures. Some waits are weighty and not wise. I am waiting for salvation for our sons. It seems like a long wait, but I know God is sovereign and His timing is perfect. I too am still in the waiting room. I'm waiting for my husband to be totally sold out to Christ. For my children to step into God's plan for their lives, For our business to finally take off and prosper. But the thing I feel I'm always waiting on, is God to change me. I want to be that beautiful daughter of the King that He has showed me that I am. I want to be all that He has destined me to be. Thank you for your ministry. I needed a message of encouragement like this today– a message to keep me listening to God's voice instead of others holding be back from fulfilling His plan for my life. I would love to read the book recommendation. Thank you for the opportunity today! We are waiting to sell our house, trusting that it will sell when God has the right family ready for it. When I get impatient, I refocus on God's will and his timing, and I trust. And the next day, with no calls for a showing I trust and thank him for the blessings of the day. A time of waiting upon the Lord for me is when we moved from WA state to NY and i didnt understand why. I had to just trust GOd that he was in control and at that time it was very hard for me and i failed at it. I didnt even know it until about a yr later. In the end it worked out for the Glory of God and resulted in a huge boost of Faith. I love Susan Meissner's writing style. Thanks for this post from her. I'm in the midst of waiting on details of working from home to be able to stay home with my babies. I'm also in the "waiting room," sometimes venturing a few steps out but then other times hesitating a new way of serving God! It's so exciting, yet also a little scary (but a good scary) to be out of my comfort zone.